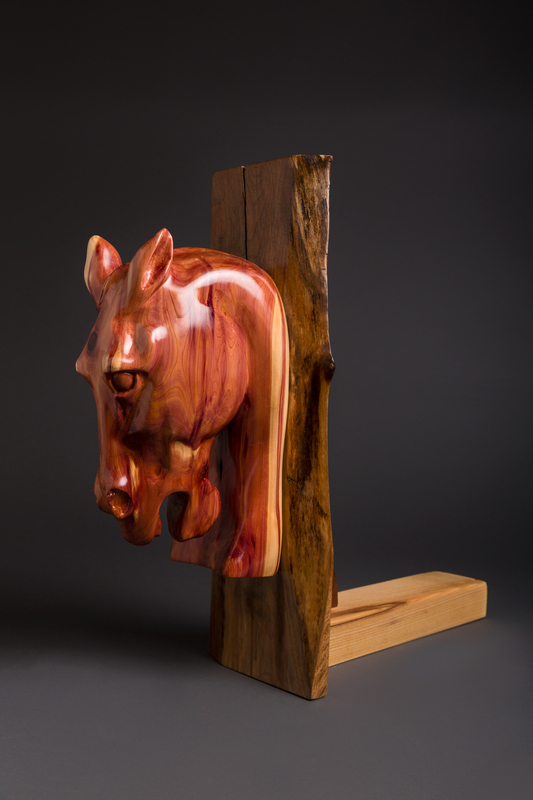 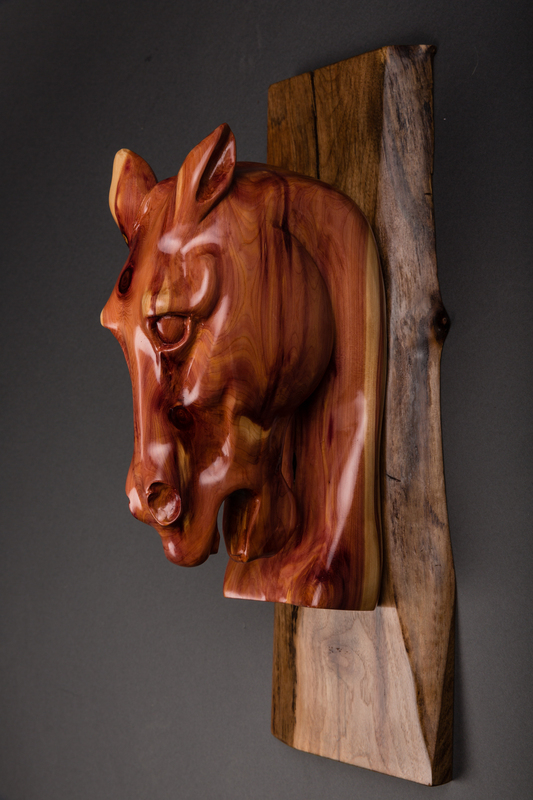 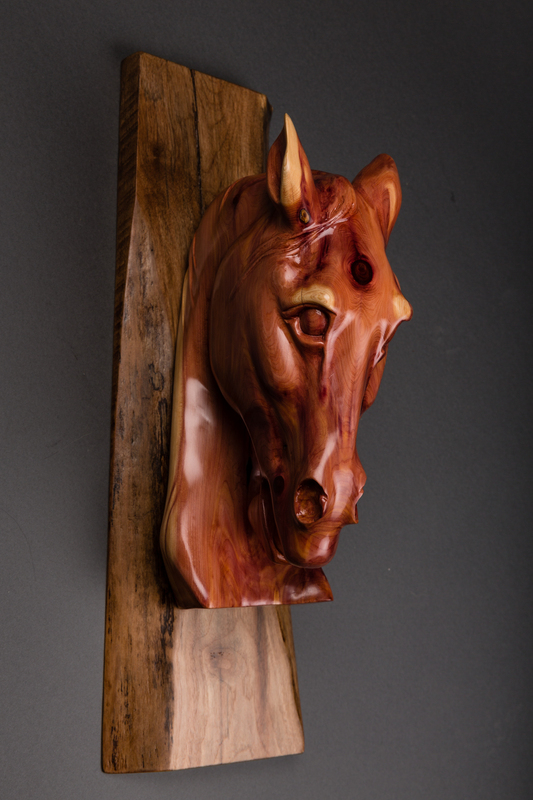 This piece is SOLD-Carved from a single Eastern Red Cedar stump, this horse head shows some fire and attitude! 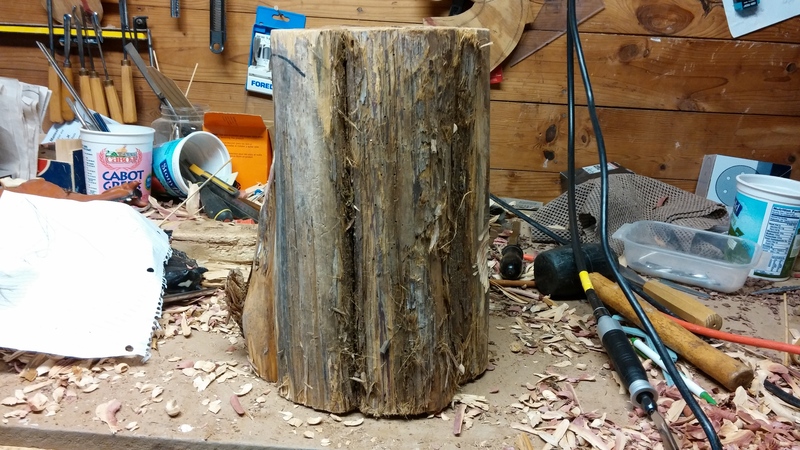 The shape becomes determined by the features of the stump as carving takes place. 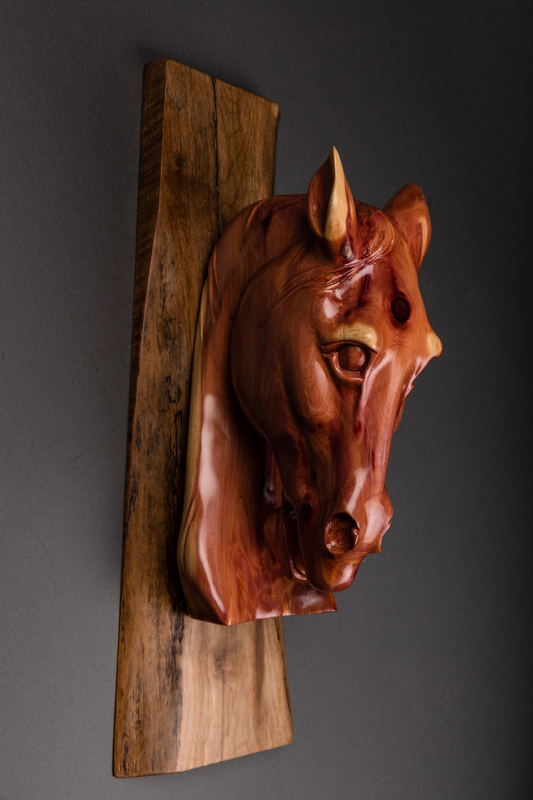 The finish is an all-natural, non toxic clear shellac that creates a high gloss sheen. 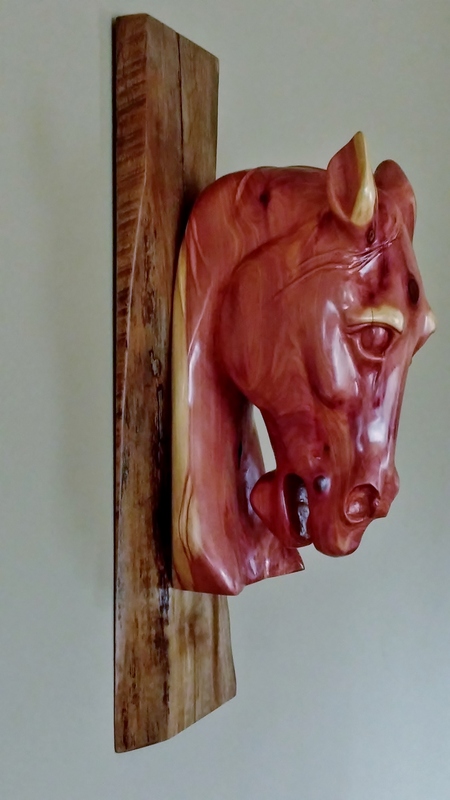 Mounted on a reclaimed walnut slab. 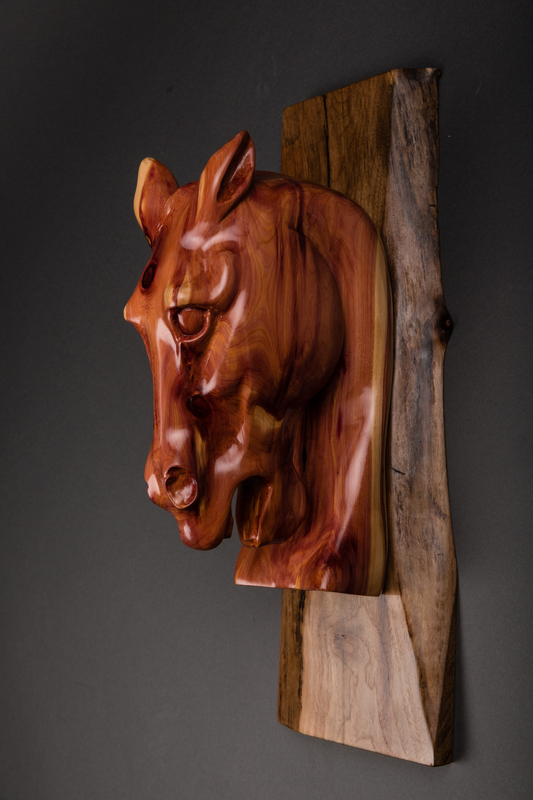 This piece is designed to be hung on a wall, but can be placed on a stand as well to show on a shelf or table. 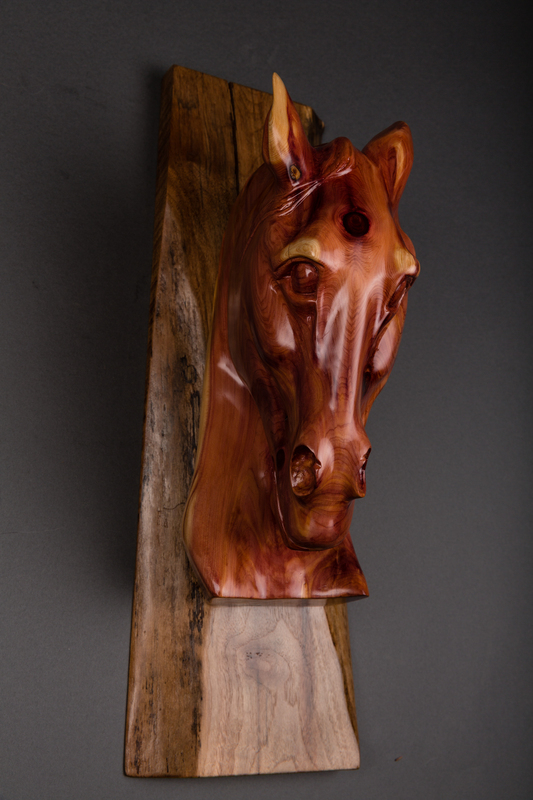 Size: 21″ tall, 7″ wide, 9″ deep. 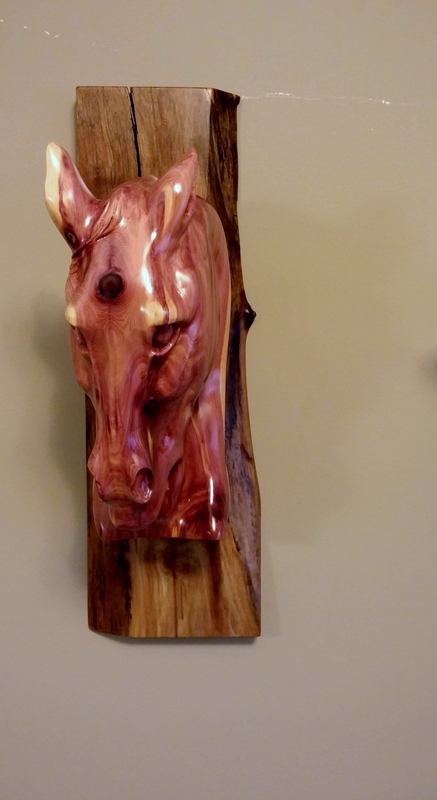 Available for shipping or pick-up from the Asheville area.